Tough competition for a multiple sclerosis drug is holding down growth. 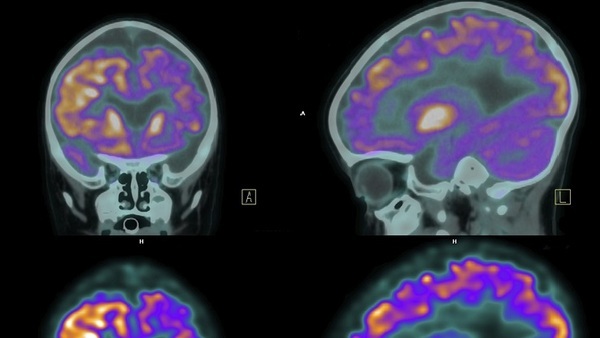 Early Biogen Alzheimer's drug results were disappointing. (Bloomberg) — Biogen Inc. (Nasdaq:BIIB) shares plummeted after the biotechnology company lowered its forecast for 2015 profit and sales, revising expectations for growth as its top-selling multiple sclerosis drug faces tougher competition. The stock dropped 14 percent to $330 in early trading. Adjusted earnings will be $15.50 to $15.95 a share this year, down from an earlier forecast $16.60 to $17, the company said Friday in a statement. Analysts had estimated $16.74. Sales of Tecfidera, which treats MS, were $883 million in the second quarter, below analysts’ estimates of $909 million. That marks another disappointing period for the drug, which in the first quarter also fell short of projections. Analysts have voiced concern that Tecfidera patients were being siphoned away by Novartis AG’s MS drug Gilenya. Novartis’s head of pharmaceuticals said this week more people were using its medicine as a first option. While second-quarter adjusted earnings of $4.22 a share beat analysts’ average estimate of $4.10, revenue fell short. Sales of $2.59 billion compared with analysts’ projection of $2.73 billion. Sales of Biogen’s other multiple sclerosis drugs also missed projections. Avonex sales of $615 million were lower than analysts’ estimate of $692 million, and Tysabri’s $463 million in sales was short of the $496 million analysts had forecast. Biogen’s most closely watched product in development is an experimental treatment for Alzheimer’s disease. But expectations moderated on Wednesday when, in a small trial, a 6-milligram dosage of the drug had no statistically significant effect on patient’s cognitive decline. The company is taking the drug, BIIB037, into final-stage testing. The biotechnology company has also been expanding its investment in treatments that use gene-modifying technologies to treat disease. That includes a $1 billion partnership with Applied Genetic Technologies Corp., a research deal with the San Raffaele-Telethon Institute for Gene Therapy to develop treatments for the blood disorders hemophilia A and B, and an agreement to work with Sangamo BioSciences Inc. for sickle cell disease and the blood disorder beta thalassemia.